The Aurora Campus has its own pastors, elders, and ministry leaders. We offer worship services at 9am and 11am, as well as family life classes at 9am on Sundays. Not the Campus you're looking for? Our main entrance is the double doors at the top of the steps near Galena Boulevard. After entering, you will find the Worship Center straight ahead. We have a parking lot with plenty of room for you. If you're new, please take advantage of our guest parking spots close to our entrance! We have ministries for children of all ages. 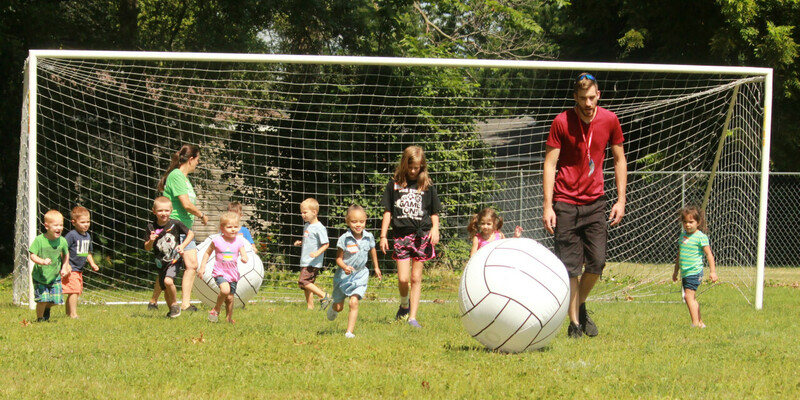 On Sunday mornings, our 9am & 11am services have fun classes for children up through 5th grade. At our Next Steps Table inside our Worship Center, you can find a detailed Guest Packet, answers to any of your questions, and a special gift for you. Village Bible Church is a Christian, protestant, evangelical, non-denominational church seeking to make disciples of Jesus. Our mission drives us to find ways to reach our community. In 2008, God called Village to a new vision through the adoption of two other area churches in Aurora and Shabbona. In 2013, God opened the door to the launch of a Spanish-speaking campus, and our El Camino campus was born. We also adopted our Plano campus in 2018. Each of our locations are connected as one, despite physical distance, because each has a similar dynamic worship experience, including "personal touches" such as live bands and campus pastoral teams. The teaching pastors at each campus preach through the same sermon series bringing continuity across all locations. The pastors of all campuses meet weekly to collaborate with each other regarding ministry locally and church-wide. People who attend Village Bible Church will find the quality of a large church with the intimacy and personal interaction of a smaller church. We know that checking out a church for the first time can be a daunting endeavor. We also know that when God changes people lives, they gain joy and a desire to encourage other followers of Jesus. We make sure to have greeters at our front door every Sunday to welcome both newcomers and long-time members. We also have a special gift for you at our Welcome Center. Hebrews 1:3 declares Jesus Christ as the radiance of God's glory, the exact representation of His nature, and the One Who made purification of sins. Therefore, praising Him is at the center of all we do, every time we gather. Exalting our Lord through worshipful music, sacrificial giving, and faithful preaching is our highest expression of thanks to and love for the One Who saves us. The focus of each worship service, Sunday school class, and Bible study is the proclamation of God's matchless Word. It alone is the source of truth concerning the character of God, the nature of man, the way to salvation, and the hope of heaven. Declaring Scripture's truth is our highest privilege as Christ's ambassadors. People, who have been called away from the power and penalty of sin, and to serving Jesus Christ and His church, are the greatest testimony of God's work. And it is God's Word, energized by His Spirit that accomplishes His work. Lovingly serving one another and the world around us is our highest calling in a world in need of grace. Village Bible Church is an evangelical church that focuses on the essential doctrines of the Christian faith, while allowing for a diversity of opinion concerning doctrinal matters that are less critical to our purpose of ministering to people's spiritual needs. Our Doctrinal Statement was designed to outline our core beliefs, while including Scriptural support. It expresses what we believe true Christians must affirm. It is not meant to represent all that Christians should believe but includes the essential truths that we believe authentic Christians must not deny. We believe that the Bible is the verbally inspired Word of God, without error as originally written. It is the complete revelation of God’s will for salvation and the only unfailing rule of faith and practice for the Christian life. We believe in one God, the Creator of all things, eternally existing in three persons – Father, Son and Holy Spirit – and that these three are equal in dignity and power. We believe in the full deity and full humanity of Jesus Christ; His miraculous conception by the Holy Spirit; His virgin birth; His sinless life; His substitutionary death on the cross; His bodily resurrection; His ascension to the right hand of the Father; and His personal, imminent return. We believe that humanity was created by and for God; that as a consequence of Adam’s disobedience to God every human being has incurred the sentence of both physical and spiritual death, which is eternal separation from God; and that all people are sinners by nature and practice. We believe that the Lord Jesus Christ died for our sins and that all who turn from sin and place their trust in Him are declared righteous and come into right relationship with God. We believe that the Holy Spirit regenerates and indwells all believers and that he empowers them for life and ministry. We believe that the Church, which is the body of Christ and of which Christ is the Head, is made up of all who have been truly born again. We believe in the bodily resurrection of everyone who has ever lived – the everlasting blessedness of those who are in right relationship with God, and the everlasting punishment of those who have rejected God's forgiveness in His Son. Deuteronomy 6:4; Matthew 28:19; Galatians 1:1; Colossians 2:9; Acts 5:3-4. Matthew 1:23; John 1:1, 14; Romans 3:25, 8:34; 1 Corinthians 15:50; Philippians 2:5-8; Colossians 2:9; 1 Thessalonians 4:13-18; I Peter 2:22, 24. Genesis 1:26-28; Romans 3:23, 5:12. Romans 10:9-10; 1 Corinthians 15:3-4; 2 Corinthians 5:21. John 14:17, Romans 8:9, 11, 13; 15:13. I Corinthians 12:12-13; Colossians 1:18. Only if you want to. Most people dress casually at Village Bible Church and everyone dresses comfortably, so wear what you like. Each week is different, but some common elements include uplifting worship by a great band. You can sing along or simply listen. We'll provide a message that is practical, relevant and Biblical. Don't worry, you won't be singled out! You can participate or not, it's all up to you. Absolutely! We also offer an excellent children's program called Village Kids geared to meet their specific needs. Village Bible Church is an evangelical church that focuses on the essential doctrines of the Christian faith while allowing for a diversity of opinion concerning doctrinal matters that are considered less critical to our purpose of ministering to people's spiritual needs. A complete statement of faith is also available. I UNDERSTAND THAT VILLAGE IS A 'DISCIPLE-MAKING' CHURCH. WHAT'S THAT ALL ABOUT? Village Bible Church has come to believe a "disciple making church" is a heavenly model: one that Christ Himself took off the drawing board and put into action. In so doing, He changed the world. Now, it's our turn. As change agents in a world desperate to see, feel, and experience the love of God, Village Bible Church has sought to follow the Scriptural call to "equip the saints for works of service." YOU DON'T HAVE A SENIOR PASTOR? HOW IS THE CHURCH LED? Village Bible Church is led by an elder team among whom the principles of plurality, equality, and consensus are upheld as vital characteristics. Jesus Christ is the head of His church, but the scriptures also make clear that a local church is to be led by a group of individuals, called elders, who are gifted and called by Him to serve. The guiding principle of leadership for the church is servant leadership. The governing authority of Village Bible Church rests with a group of biblically qualified men called elders. The Elders are chosen to serve in submission to Christ and the Word. Collectively they are responsible for the oversight and the spiritual care of the church. The elders are the shepherds of the flock and provide leadership through teaching, leading worship, providing pastoral care, stimulating prayer and outreach, administering discipline, resolving disputes, stimulating vision and encouraging believers to serve in areas of their giftedness. The elders also provide oversight of the pastoral staff. The elders typically meet once a week, more often as needed. Each of them is available to anyone within the congregation for counsel, prayer, a listening ear, etc. Please feel free to contact any of them at any time. HOW HAVE YOU MADE SMALL GROUPS THE HEART OF YOUR CHURCH AND THE KEY FORUM FOR PERSONAL GROWTH AMONG YOUR MEMBERS? Involvement in a Small Group at Village Bible Church is the key to connecting relationally, growing spiritually, and exploring ways to share the love of Christ by serving others. Relationships thrive in an environment of intimate connection, common experience, and genuine sharing, and Village’s Small Groups provide a way to know and be known by others. The concept and philosophy of our small groups goes beyond the Bible study format, bringing much to bear on the relationships - vertical and horizontal - that enrich our spiritual lives and in turn allow us to enrich the lives of others. 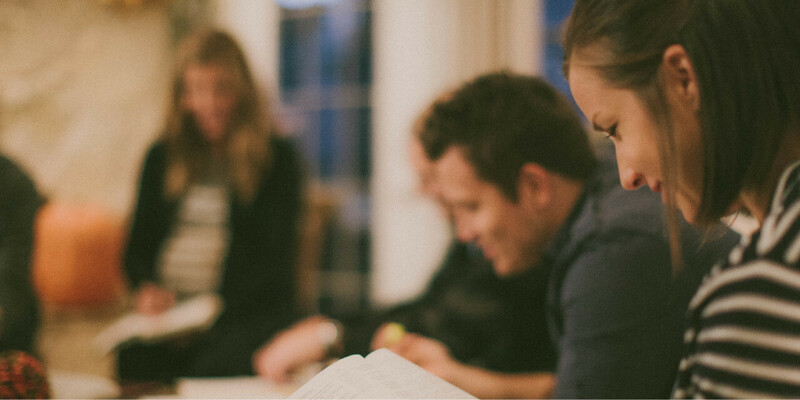 In the course of achieving these objectives, those involved in small groups at Village Bible Church actively pursue a Christ-centered lifestyle, develop a bold personal witness, share with and learn from others, construct a biblical perspective and practice for godly living, explore a new personal vision for ministry or mentoring, and reach out to meet needs or address social concerns in the community. IS VILLAGE BIBLE CHURCH AFFILIATED WITH A DENOMINATION? Village is chartered as an independent church without affiliation with any denomination. People from many denominational backgrounds have found a church home at Village. WHAT KIND OF MISSIONS PROGRAM DOES VILLAGE BIBLE CHURCH HAVE? Missions has been a central focus of Village Bible Church from the earliest days. A goal of the Church is for the entire congregation to be "world Christians"—Christians who understand the Biblical mandate to take the gospel to the entire world. As a church we are thrilled to send many of our own people to the mission field, some for vocational service and others for short-term projects.